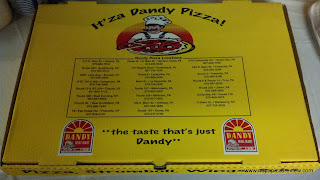 Yes, you read the headline correctly, I am reviewing a gas station's pizza. It seems a bit unorthodox, and I was skeptical when my buddy who lives the Mehoopany area proposed he was bringing a pizza from a gas station to my house for football Saturday. Mehoopany is an area that I don't frequent so my buddy provided a nice opportunity for me to cover some area in that section of NEPA. On with the review! When the pizza box essentially had to be walked through the door sideways, I immediately noticed this was among the most gigantic pizzas I've ever seen. Certainly it was the biggest I've ever reviewed. 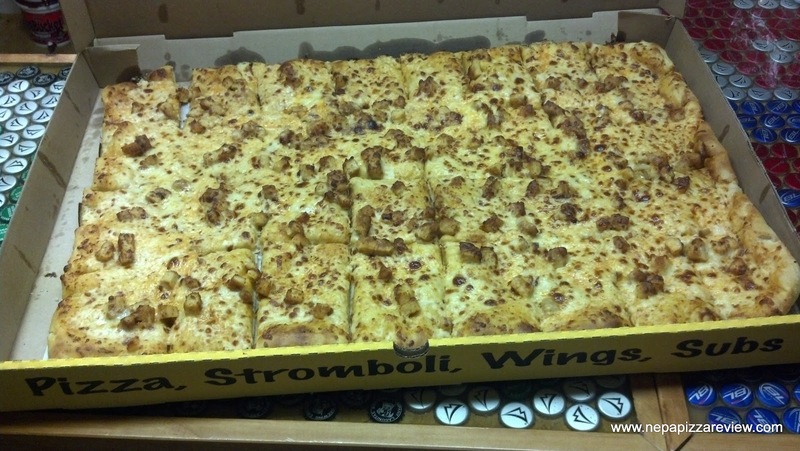 When the box was opened and the pizza was unveiled, and the gigantic 32 slice monster stared me right in the face. If you have never experienced a sheet pizza, it's essentially a giant old forge pizza for all intents and purposes. The pizza was simple, with a nice hot sauce which was flavorful, slightly spicy, and a bit sweet. There was a fairly generous amount of chicken on the pie, and the mozzarella cheese was pretty standard. 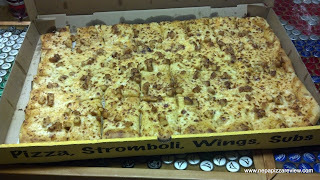 The giant crust was soft, slightly chewy, and pretty decent. The intent of this pizza is not to impress a pizza critic like myself, although I must say, it was way better than I expected. I'd say the strength of the pie is it's simplicity that everyone is sure to enjoy, it's massive size, and extreme value it provides. 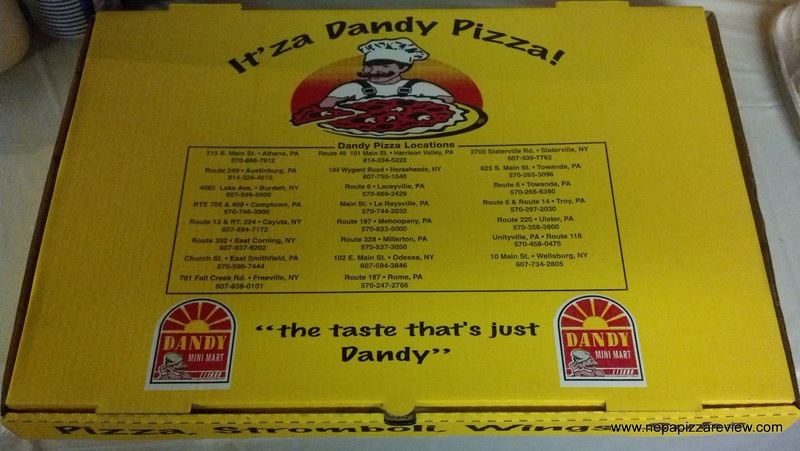 This, my friends is the ultimate party starter so if you live anywhere around Mehoopany, definitely don't be ashamed to order "gas station pizza" at the Dandy. 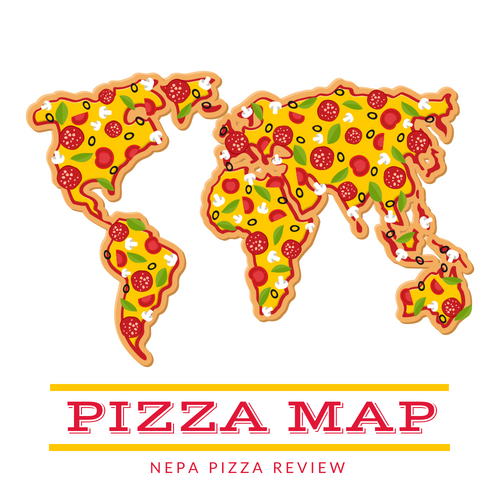 Sometimes you can find good pizza in the strangest places!